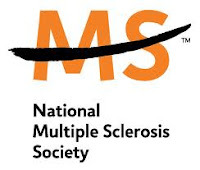 The National MS Society is focused on MS research in an effort to find a cure. They have chapters across the U.S. who help MS patients and their families with information and support services. The scholarship program was established in 2003. The most recent scholarship awards totaled $1 million and helped 646 students. Multiple sclerosis is a disease of the immune system that damages nerve fibers in the central nervous system. The symptoms can be mild to severe and include symptoms such as fatigue, numbness, walking and balance problems, speech disorders, cognitive disfunction, seizures and tremors, among others. Approximately 400,000 people in the U.S. are diagnoses with MS. It is estimated that more than 2.1 million all over the world are affected with MS. The deadline for this scholarship is usually in JANUARY of each year, and the award amount is usually $1,000 - $3,000.